We’re serving our community with a warm plate of food, supplies to stock pantries, and by walking to raise money to end hunger. We’re serving our community by meeting basic needs for nourishment and through our love, striving to offer food for their souls. We seek to be a servant church. Would you serve, too? St. John’s works in connection with local agencies to meet the needs of hungry people in our city. We serve meals, sponsor food drives, and walk to raise funds for the hungry. Join us as we seek to minimize the issue of hunger here and abroad. St. John’s provides space and utilities for the local CROP office. Over 100 members of our church walk in this event each year to raise funds for hunger. Funds are donated to local and international hunger agencies. For years, St. John’s has supported Friendship Trays, an organization that delivers daily hot lunches to elderly or shut-in persons. In addition to financial support, we provide volunteers who work once a week or once a month to pack or deliver lunches. Loaves and Fishes is a network of 16 food pantries providing direct emergency food assistance to people in crisis. Volunteers from St. John’s help staff pantries and receive telephone referrals. St. John’s also participates in Loaves and Fishes annual food drives. 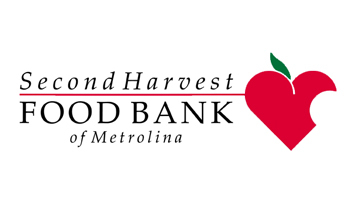 Second Harvest Food Bank strives, through education, advocacy, and partnerships, to eliminate hunger through the distribution of food. Volunteers from St. John’s sort, inspect, box, and stock donations as well as pack food boxes and/or food backpacks for children. St. John’s maintains a separate Hunger Fund to which contributions are made directly. The Missions Resource Team has the responsibility of deciding how the money is distributed, with funds frequently going to the digging of wells and other projects aimed at addressing long-term solutions to the problem of hunger. If you have an interest in volunteering or supporting St. John’s missions to end hunger use the form below to contact our church office. A minister or lay volunteer coordinator will follow-up and find the best way for you to be involved.